“In a warmer climate, wet years get wetter and dry years get dryer. And dry years get hotter — that is precisely what happened in Iowa this year, “ said Chris Anderson, Research Assistant Professor, Climate Science Program at Iowa State University. The IOWA CLIMATE STATEMENT: The Drought of 2012 was released by one hundred and thirty-eight science faculty and research staff from 27 Iowa colleges and universities. This year’s statement focuses on the prospects for future Iowa extreme weather events like the 2012 drought and the extreme flooding that preceded it. The strong support for the statement represents the growing consensus among Iowa science faculty and research staff that action is needed now to reduce greenhouse gas emissions and implement mitigation strategies. 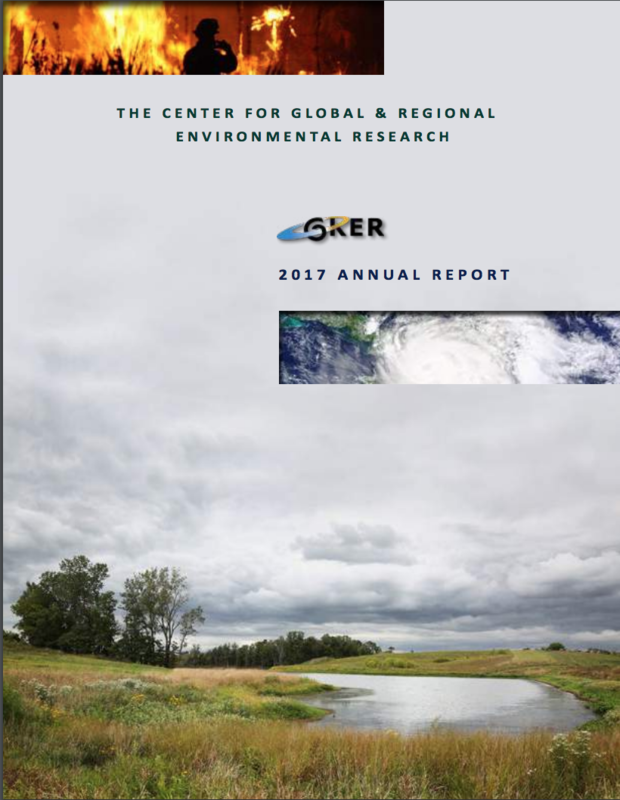 “We have confidence in recent findings that climate change is real and having an impact on the Iowa economy and on our natural resources,” said Jerry Schnoor, Co-Director, Center for Global and Regional Environmental Research at the University of Iowa. Gene Takle, Director, Climate Science Program, Professor of Agronomy, Professor of Geological and Atmospheric Sciences, Iowa State University. Jerald Schnoor, Co-Director, Center for Global and Regional Environmental Research, University of Iowa. Christopher J. Anderson, Research Assistant Professor, Climate Science Program, Iowa State University. Greg Carmichael, Co-Director, Center for Global and Regional Environmental Research, University of Iowa. Neil Bernstein, Chair, Department of Natural and Applied Sciences, Mount Mercy University. David Courard-Hauri, Chair, Environmental Science and Policy Program, Drake University. As science faculty and research staff at Iowa universities and colleges, we have confidence in recent findings that climate change is real and having an impact on the economy and natural resources of Iowa. We feel that it is important for citizens of Iowa to understand its implications. Iowans are living with climate change now and it is costing us money already. The drought that we are currently experiencing is consistent with an observed warmer climate, although science cannot say with certainty that the drought of 2012 was caused directly by human activities. The following observations support the case that more droughts and floods are likely in the future. 1. Globally over the past 30 years, there is clear statistical evidence that extreme high temperatures are occurring disproportionately more than extreme low temperatures. The climate likely will continue to warm due to increasing global emissions and accumulation of greenhouse gases. 2. In a warmer climate, wet years get wetter and dry years get dryer. And dry years get hotter ‐ that is precisely what happened in Iowa this year. We can expect Iowa to experience higher temperatures when dry weather patterns predominate. The latest science, based on overwhelming lines of physical evidence, indicates we can expect dry periods to be more frequent as soon as the 2020s. 3. 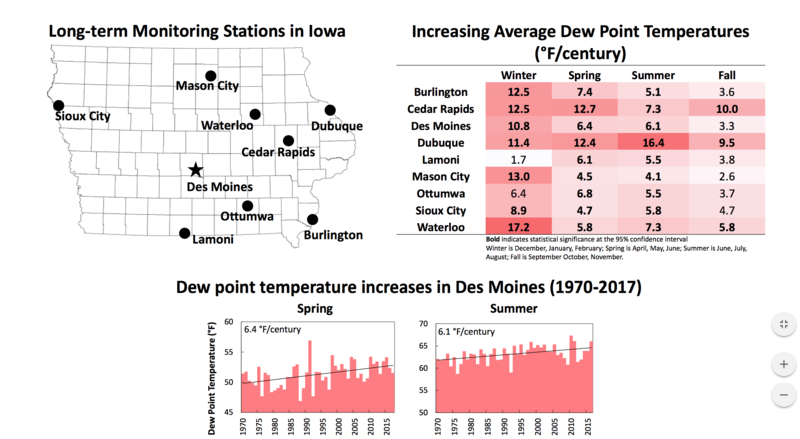 Iowa also has experienced an increasing frequency of intense rains over the past 50 years (Iowa Climate Change Impacts 2010, http://www.dnr.gov), likely due to a higher surface evaporation in a warmer world. Because of these extremes in precipitation (drought and flood), Iowans will increasingly need infrastructure investments to adapt to climate fluctuations while developing and implementing mitigation. As global citizens, Iowans should be a part of the solution. We can prosper, create jobs, and provide an engine for economic growth in the process (Iowa Climate Change Advisory Committee 2008 report, www.iaclimatechange.us). Iowa should lead innovation in reducing greenhouse gas emissions, improve resilience in agriculture and communities, and move towards greater energy efficiency and increased use of renewable energy.